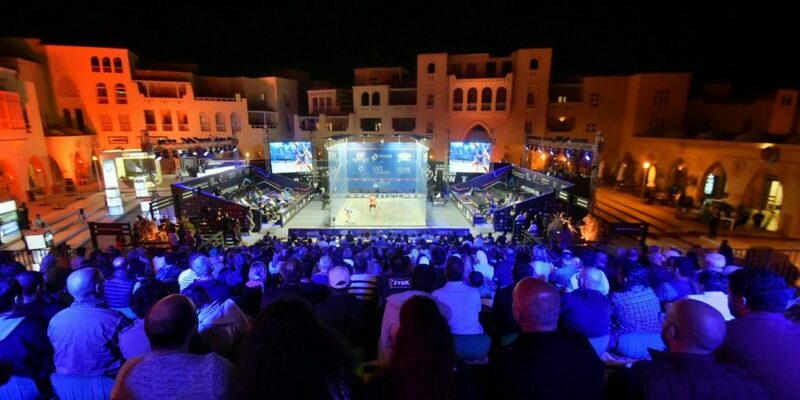 The world’s best squash players will go head-to-head on the banks of Egypt’s Red Sea after the draws for the 2019 El Gouna International Squash Open were released today. 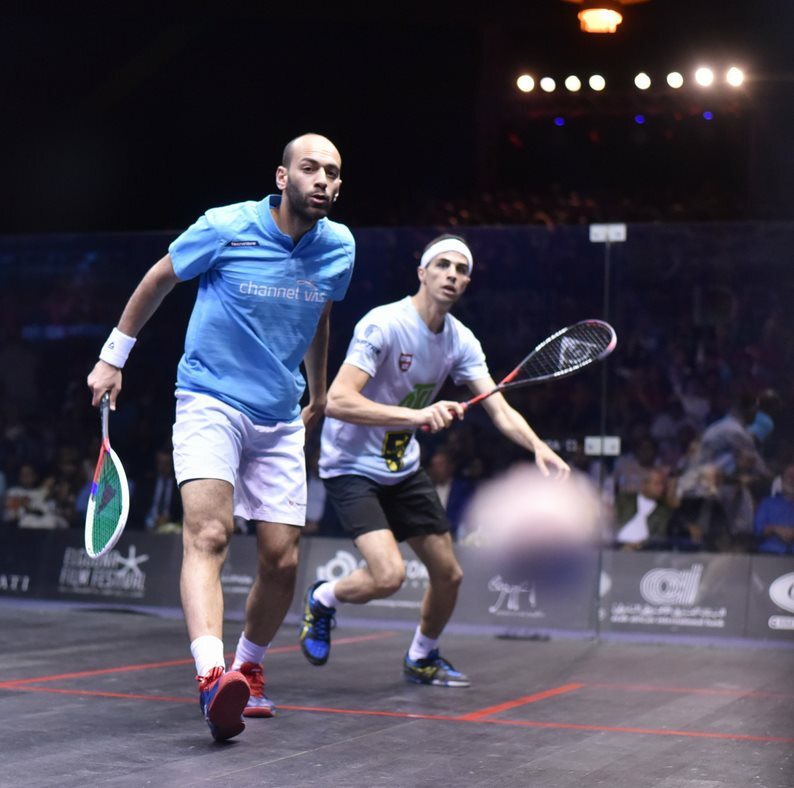 No.2 seed Mohamed ElShorbagy, the 2016 El Gouna International champion, features on the opposite side of the draw alongside British Open champion Miguel Rodriguez, defending champion and younger brother Marwan [who faces No. 8 seed Mohamed Abouelghar in his opening match!] and former World No.1 Karim Abdel Gawad. 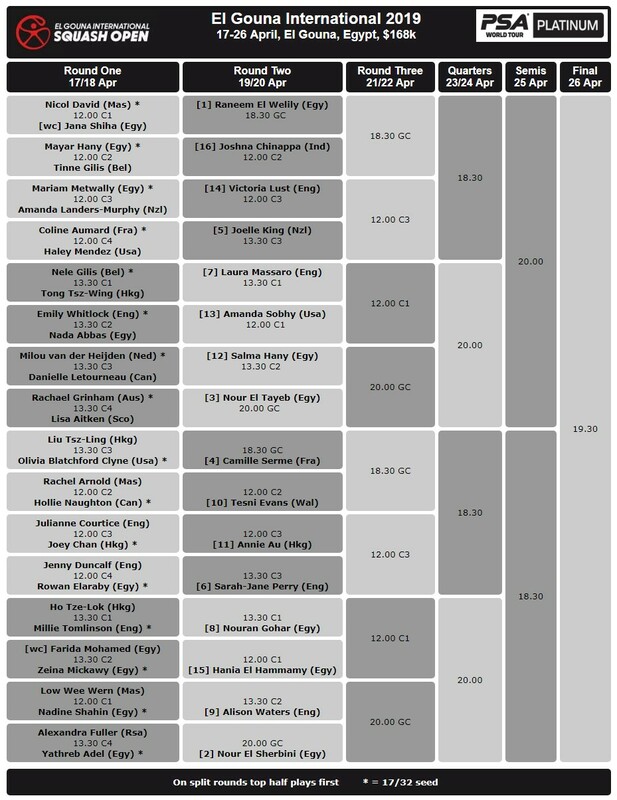 Reigning women’s champion Raneem El Welily tops the women’s draw and could face eight-time World Champion Nicol David in round two. David, a former World No.1, will retire at the end of the season and will make her last appearance in El Gouna. 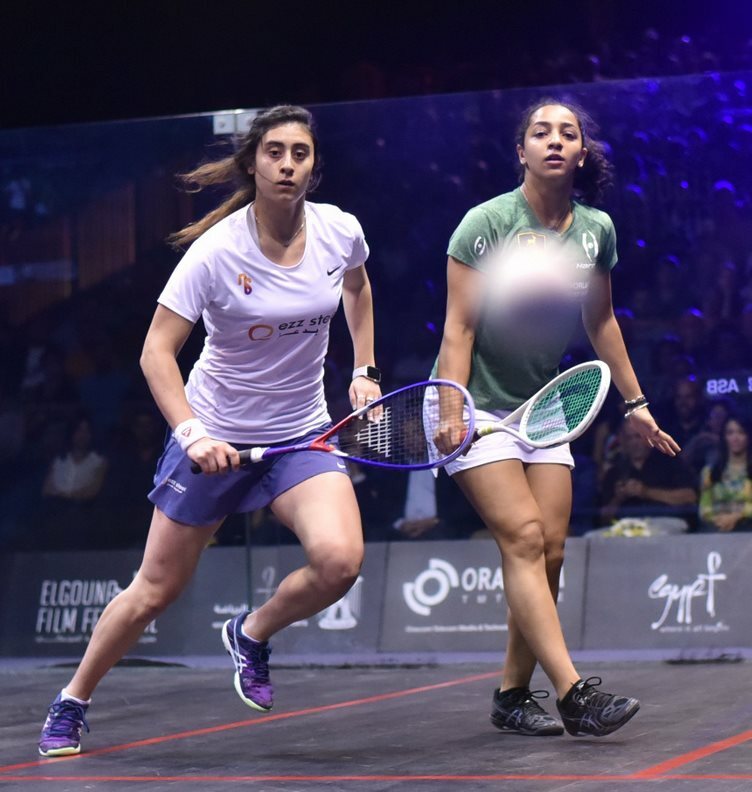 El Sherbini, who beat El Welily in El Gouna two years ago to win the second of her three World Championship titles, is seeded alongside World No.9 Alison Waters, World No.8 Nouran Gohar and World No.4 Camille Serme in the bottom half of the draw. The El Gouna Squash Complex will host the first round matches on 17th and 18th April. 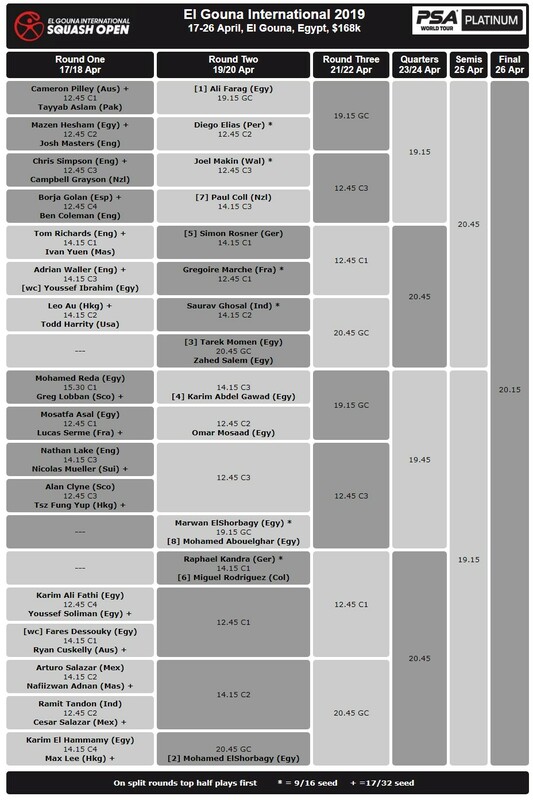 Round two and three matches will be split between the glass court at Abu Tig Marina and the El Gouna Squash Complex between 19th and 22nd April, and all matches from the quarter-finals onwards will be held at Abu Tig Marina between from 23rd to 26th April .